Last week, Nunes (R-Calif.) released a declassified memo exposing surveillance “abuses” by the Obama DOJ and FBI in their investigation of Trump’s ties to Russia. It said the agencies relied heavily on the uncorroborated dossier to take out a warrant to secretly surveil a Trump adviser in the heat of the 2016 presidential election, even though they were aware the underlying “intelligence" supporting the wiretap order was political opposition research funded by Clinton allies — a material fact they concealed from FISA court judges in four separate applications. 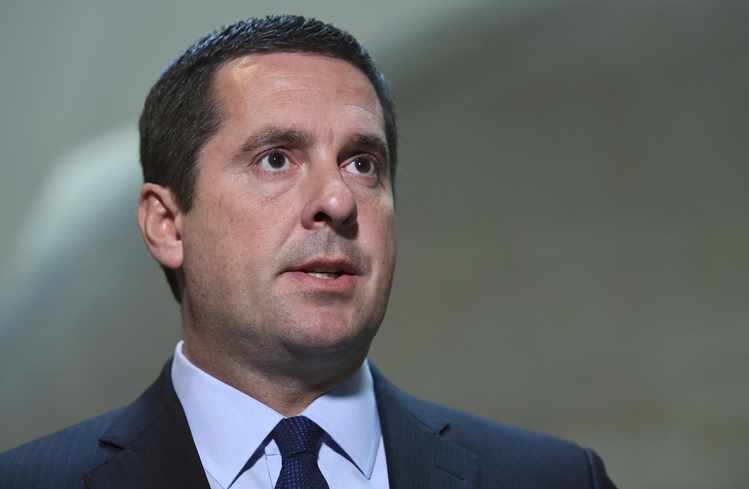 Nunes plans to soon release a separate report detailing the Obama State Department’s role in creating and disseminating the dossier -- which has emerged as the foundation of the Obama administration's Russia “collusion” investigation. Among other things, the report will identify Obama-appointed diplomats who worked with partisan operatives close to Hillary Clinton to help ex-British spy Christopher Steele compile the dossier, sources say. Several Capitol Hill sources say Brennan, a fiercely loyal Obama appointee, talked up the dossier to Democratic leaders, as well as the press, during the campaign. They say he also fed allegations about Trump-Russia contacts directly to the FBI, while pressuring the bureau to conduct an investigation of several Trump campaign figures starting in the summer of 2016. On Aug. 25, 2016, for example, the CIA chief gave an unusual private briefing to then-Senate Minority Leader Harry Reid (D-Nev.) in which he told Reid the Russians were backing Trump and that the FBI would have to take the lead in an investigation because the FBI is the federal agency in charge of domestic intelligence and, unlike the CIA, can spy on U.S. citizens. “The Trump campaign has employed a number of individuals with significant and disturbing ties to Russia and the Kremlin,” the then-top Democrat in the Senate added in his two-page letter. Reid then alluded to Page as one of those compromised individuals and repeated an unproven charge from the dossier that Page had met with two Kremlin officials in Moscow in July 2016 to discuss removing U.S. sanctions on Russia. Page has repeatedly denied the allegation under oath, swearing he never even met the Russian officials named in the dossier. “Any such meetings should be investigated,” Reid asserted. 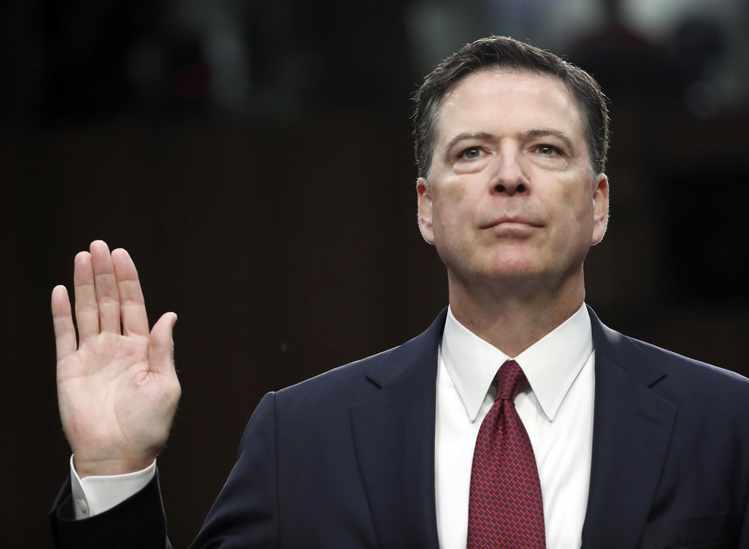 Less than two months later, Comey signed an application for a surveillance warrant to monitor Page’s emails, text messages, phone conversations and residence. 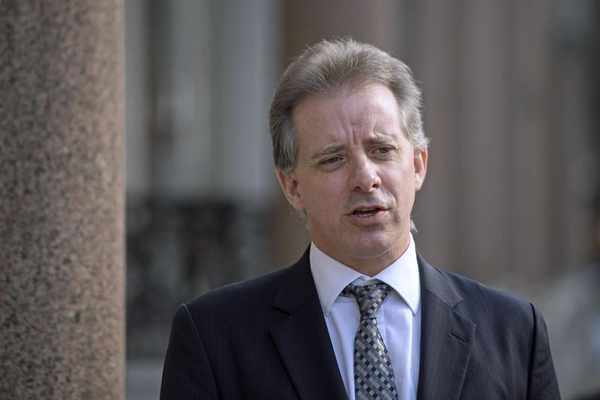 Christopher Steele, former British spy. Congressional investigators say that the "explosive information” Reid referred to was the false or unverified claims in the Clinton-funded dossier -- which the sources say were passed along by Brennan. They add that Brennan gave more than one briefing. After Trump won the election, sources say, the CIA director sought to "weaponize" the dossier’s wild accusations against the president-elect. In early January, just weeks before Trump was inaugurated, investigators say Brennan saw to it that the contents from the dossier were attached to an official daily intelligence briefing for Obama. The special classified briefing was then leaked to the major Washington media, allowing them to use the presidential briefing to justify the publication of claims they had up to that point not been able to substantiate and had been reluctant to run. CNN broke the news that the dossier — described as “classified documents” — had been attached to the briefing report by the CIA, and had been given to the president. The top-level credence that the government was placing in the dossier gave prominent newspapers, including the Washington Post and New York Times, justification to follow suit. At the time, the Washington Post was assured by Obama intelligence officials that "the sources involved in the [dossier's] reporting were credible enough to warrant inclusion of their claims in the highly classified [presidential] report.” Months later in public testimony, however, Brennan said the dossier and its sources were not credible enough to incorporate the information in a separate January 2017 intelligence report on Russian election interference publicly released by the administration. The published unclassified version of the report nonetheless echoes the dossier’s central assertion that Moscow meddled in the election to help Trump. Brennan later swore the dossier did not “in any way” factor into the CIA's assessment that Russia interfered in the election to help Trump. However, congressional investigators suggest a still-classified version of the January 2017 intelligence report contradicts his claim. Also in his May 2017 testimony, Brennan swore he had no idea who commissioned the dossier. "I find it hard to put any real credence in anything that the man says,” he added. What’s more, his former deputy at the CIA, Mike Morell, who formed a consulting firm with longtime Clinton aide and campaign adviser Philippe Reines, even came out in early August 2016 and publicly endorsed her in the New York Times, while claiming Trump was an “unwitting agent” of Moscow. Reid repeated Morell’s allegation against Trump in his August 2016 letter to Comey. Career U.S. intelligence officials say Morell, like Brennan, was personally invested in a Clinton victory. Morell “had aspirations of being CIA director if she had won,” said former FBI counterintelligence official I.C. Smith, whose service overlapped with Brennan’s. Investigators are trying to learn if the Clinton campaign shared, through Reines, the early memos on the dossier it was paying for with Morrell before he wrote his Times op-ed. Morell could not be reached for comment. But he pushed back hard last week against Nunes releasing his memo exposing the FBI’s reliance on the dossier for Trump wiretaps, which he argued "did not have to happen. It undermines the credibility of the FBI in the public's eyes, and with no justification in my view." “What happened here underscores the partisanship and the dysfunction of a very important committee in Congress, and that does not serve Congress well. It doesn't serve the intelligence community, and it doesn't serve the country well,” Morell continued earlier this week in an interview with CBS News, where he now works as a “senior national security contributor." Sources say Brennan is aware that the House Intelligence Committee is targeting him in its wide-ranging investigation of the dossier and investigative and intelligence abuses related to it, and that Nunes plans to call him and other former Obama administration officials before the panel to question them based on newly obtained documents and information. “It really underscores just how partisan Mr. Nunes has been,” Brennan charged. He further contended that he had neither seen nor read the dossier until a month after the election. Brennan also insisted he did not know who was pulling the strings on the research that went into the dossier. Obama’s director of national intelligence, James Clapper, is also coming under scrutiny for his role in the dossier. The intelligence committee plans to press Clapper to find out if he knew at the time that, in fact, the document was political opposition research underwritten by the Clinton campaign, and whether any of the leaks to the media came from his office. “I do not believe the leaks came from within the IC [intelligence community],” he maintained at the time, adding that “we did not rely upon [the dossier] in any way for our conclusion” on Russian interference. In October 2016, during the heat of the campaign, Clapper issued a public report declaring that Russian President Vladimir Putin’s regime directed the cyberattacks on Clinton campaign emails, echoing memos Steele was delivering at the time to the Clinton campaign. "It's what the dossier said and the extent to which it was -- it's corroborated or not. 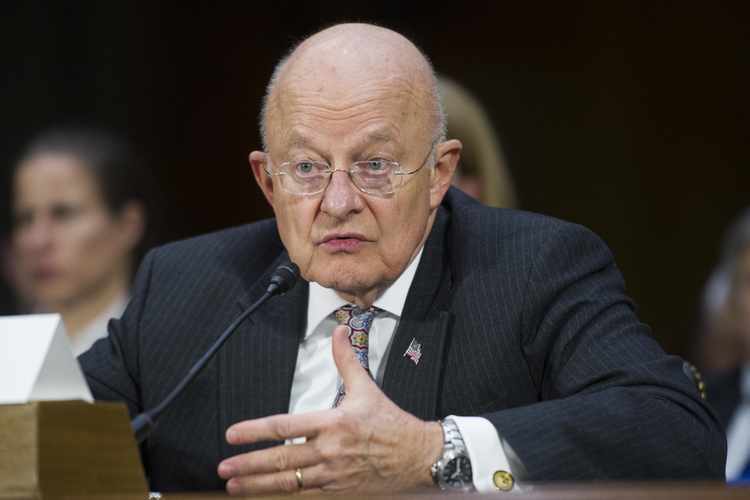 We had some concerns about it from the standpoint of its sourcing, which we couldn't corroborate,” Clapper added last October in an interview with CNN. "But at the same time, some of the substantive content, not all of it, but some of the substantive content of the dossier, we were able to corroborate in our Intelligence Community Assessment from other sources, which we had very high confidence of,” Clapper said. Investigators say Nunes intends to drill down on exactly who those “other sources” are now that his committee has learned that top officials at both the FBI and Justice Department relied on a Yahoo! News article as their additional sourcing to corroborate the dossier allegations they cited to obtain Trump campaign wiretap warrants -- even though it turns out the main source for the Yahoo! story was merely the dossier’s author, Steele, who was disguised as “a Western intelligence source."